One of the most valuable aspects of membership in GALA Choruses is the linkage to other member choruses all over the world. Use the search feature below to find a particular chorus or to look and see if there is a chorus in a particular city or country. View our map of LGBTQ+ choruses worldwide to see just where all of the choruses are. The map is undergoing some updates so check back often! Looking for Singer Rehearsal Tips? 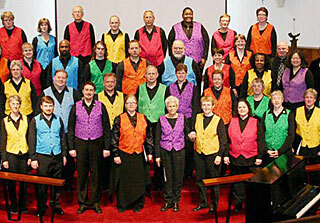 Visit the Singer Section of the Online Resource Center and look under Chorus Rehearsal. Considering Starting a Youth Chorus? The challenges of building a youth chorus differ significantly from an adult chorus. Talk with a GALA advisor early in your planning for valuable insights!